Mark your calendars to join Shift Zero at the Seattle Design Festival! This year Seattle Design Festival explores how we design for TRUST. 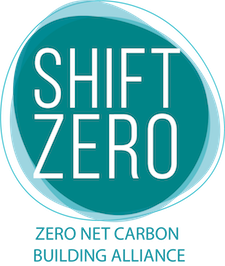 Shift Zero Co-Chairs Matthew Combe, Leah Missik, and Zack Semke will lead a panel discussion exploring how trust is nurtured within the alliance, and then expand to questions of green claims v. actual performance, governmental pledges v. practical pathways to action, and environmental gentrification v. equitable access to healthy zero carbon buildings.